For this version, I moved the site to use WordPress and decided to start including other content, like graphics tutorials and video game reviews. 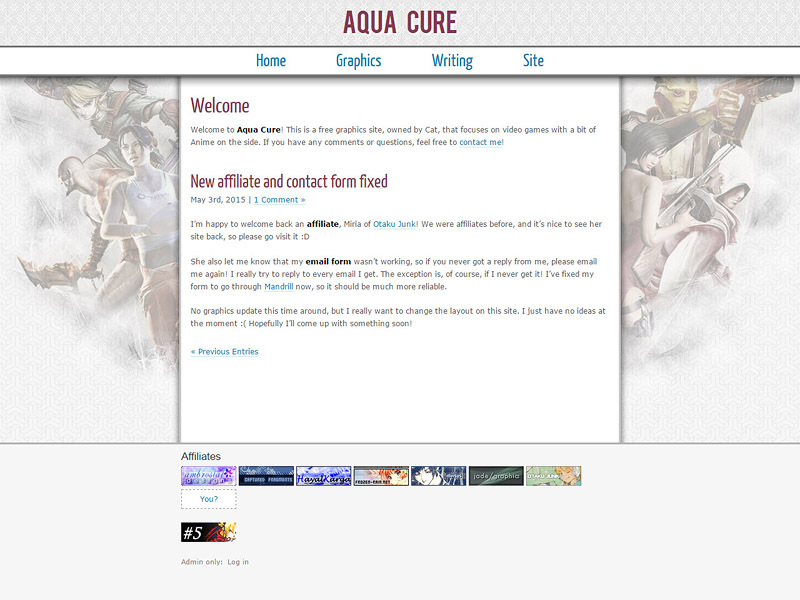 I wanted something simple since I was adding more written content and also something that represented multiple games. This one features several characters from some of my favorite games and has a much cleaner look than past layouts.